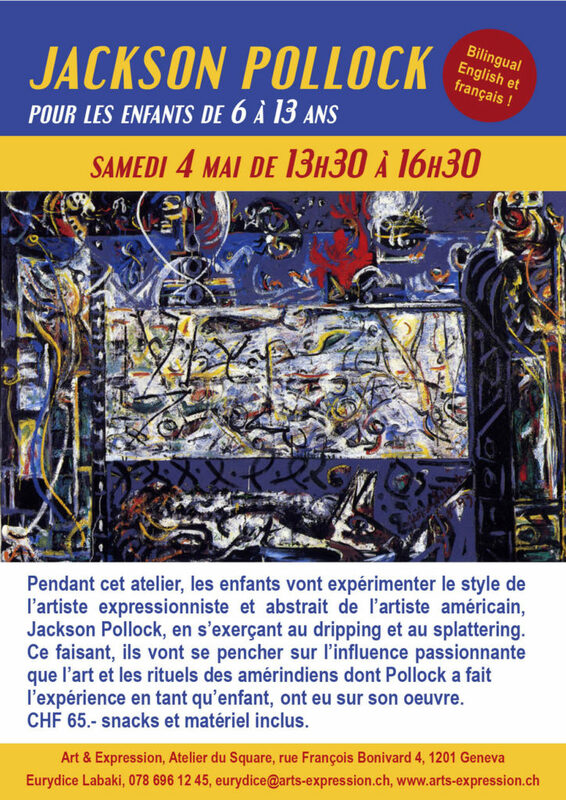 During this workshop, children will experiment with and paint in the style of expressionniste and abstract painter Jackson Pollock. They will attempt dripping and splattering. In the process, children will also discover and integrate the fascinating influence that Native American art and rituals have had on the artist and his works, who experienced such events as a child.